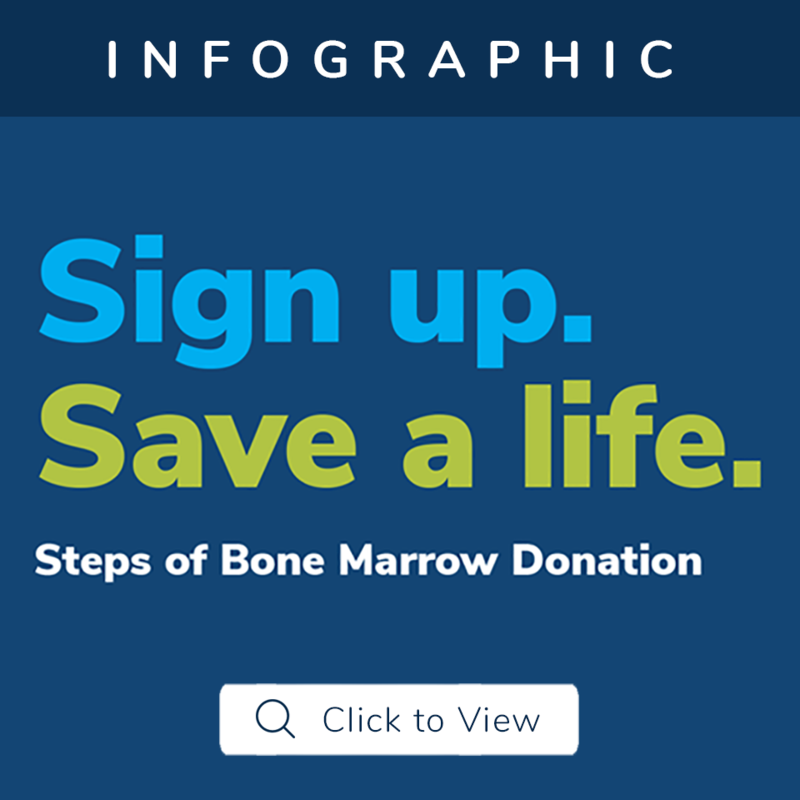 Learn more about the bone marrow donation process and what donors can expect. Set-up an account online with an email and password. Answer some basic background and eligibility questions. Wait for your swab kit in the mail. Swab and return. If you receive a call that you match a patient, a blood sample will determine if you are the best match. PBSC – Take Filgrastin 5 days prior to donating to increase the number of blood-forming cells. Through a nonsurgical procedure called aphaeresis, blood stem cells will be collected. When you join the registry, you are making a commitment to answer the call when a patient needs you to donate your cells for a marrow transplant. Not everyone on the Be The Match Registry® will match and be asked to donate to a patient. In fact, the chances of donating are 1 in 430. If you are asked to donate, the patient’s doctor has chosen you as the best donor. Update your Health Information – You will be asked to confirm your commitment to donate, and complete a thorough health questionnaire. Participate in an Information Session – We will speak with you about the two methods of donation: marrow or PBSC, their possible risks and potential side effects. This 90- minute session is designed to fully inform you about donation. You will have many opportunities to ask questions and will be asked if you’re willing to proceed with the donation. Sign a Consent Form – If you agree to donate, you will be asked to confirm your decision by signing a consent to donate form. Undergo a Physical Exam – You will have a physical exam to see if donating would pose any risk to you or the patient. Give Blood Samples – Before you donate you will be asked to give several blood samples. This is usually done in two to four appointments. These will be scheduled by your donor center. Donate – After the above steps are completed successfully, you will proceed with donating peripheral blood stem cells (PBSC) or bone marrow.